Due to significant criticism for repeating themes in his works, Kitano was determined to make a movie on a whole different level, without the reigning violence of his other works. From this came “Dolls”, a film based on the writings of Chikamatsu Monzaemon, who is widely accepted as the one of the greatest Japanese dramatists. Monzaemon is a dramatist of Joruri, a form of puppet theatre. “Dolls” consists of three dramatic love stories. In the first one, Matsumoto and Sawago are about to get married, but the pressure of his obligations drives Matsumoto to make a tragic choice. In the second one, Hiro is a Yakuza boss (Kitano could not leave his favorite subject off), but 30 years prior, he was simply a poor farmer in love with his girlfriend. She used to bring his lunch at a park every Saturday, the same park that he now decides to return to. In the third one, Haruna is young pop star, idolized by her fans, but she’s unhappy due to an accident that ruined her face. She currently spends her time watching the ocean, while Nikui, her most dedicated fan, cannot tolerate watching her disfigurement. 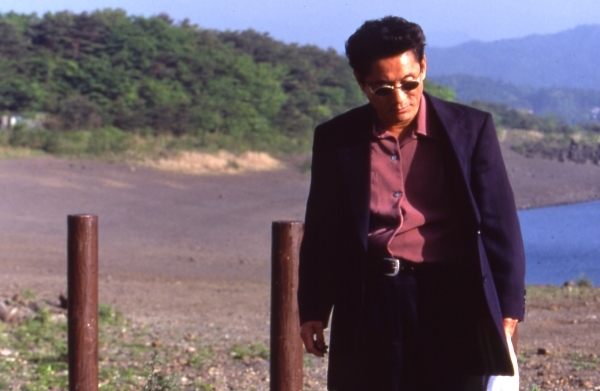 Kitano presents three stories bordering on the boundaries of despair, all of which have a tragic ending. His characters, in an unprecedented practice for the filmmaker, wander around a feast of colors and scenery, including the white of winter and the gray of autumn, in what is probably his most technically accomplished work. 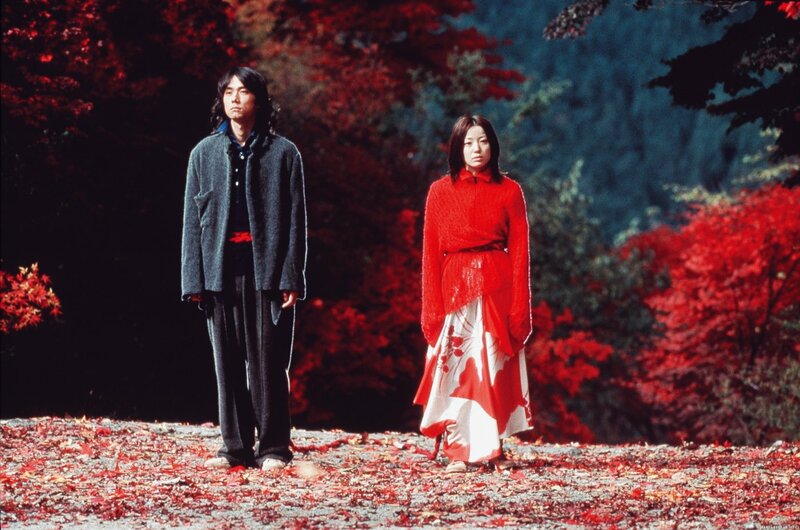 Wonderful cinematography by Katsumi Yanagishima and impressive costumes by Yohji Yamamoto were inspired by the Japanese tradition of Joruri, and a dreamy soundtrack by his permanent associate, Joe Hishaishi, includes a song by Kyoko Fukada, that plays mostly herself as Haruna. Kitano, once more assuming his three roles of director, scriptwriter and editor, has total control over the film’s pace, which is even slower than his other movies. All the actors are forced to be highly expressive with their body language, since they scarcely speak. Miho Kanno, who plays Sawako, hardly even utters a single word. “Dolls” is a highly artistic, cruel fairy tale that truly stands out in the filmography of Takeshi Kitano. This was the first film that brought international attention to Kitano’s work, even netting him an award from the jury of the Festival du Film Policier de Cognac in France, that was focused on police/crime movies. As was the rule though, at least up to that point, “Sonatine” was a commercial failure in Japan. Kitano wanted to shoot a film based on Godard’s “Pierrot le Fou”, although the final outcome had little to do with the French film, and he would go to great lengths to do so. He would fly once a day to a remote island, solely accessible by plane, and shoot the movie there, without anyone besides the crew knowing what it was about. One of the reasons he did this, was because he’d previously agreed with Okuyama, head of Shochiku and producer of the movie, that he would shoot a movie resembling the American “Die Hard” films, but “Sonatine” having nothing to do with that. That resulted in a furious Okuyama, the end of Kitano’s collaboration with Shochiku and likely the creation of Office Kitano. Kitano plays a Yakuza named Murakawa, who is being sent with his crew to Okinawa to assist an allied clan. However, they get ambushed and are forced to hide in a secluded beach house. While there, the film makes a turnaround toward comedy, while we watch Murakawa and his three comrades looking for ways to spend their time. Unfortunately, at a point the fun ends and the time for revenge emerges. Kitano uses traveling shots and a moving camera for the first time in this film, a fact that, as he has stated, shows that he had achieved the primary level of becoming a director and being in control of his medium. This time he avoids constant violence and instead gives us a sense of his inspired humor and calm pace. The highlight of the film is the in-depth analysis of Murakawa that is completed in the finale with the phrase “The one who is most scared of death, is the one who wants to die the most”. Some of the foremost memorable scenes of his filmography are found here, including the hilarious sumo scene and the ultra-violent elevator scene. This was the first time Kitano succumbed to criticism for the violent element in his movies, deciding to shoot a road movie without any violence at all. Masao is a schoolboy who lives with his grandmother in Tokyo. After receiving a package that appears to pinpoint the location of his long-lost mother, he embarks on a protracted journey to meet her. 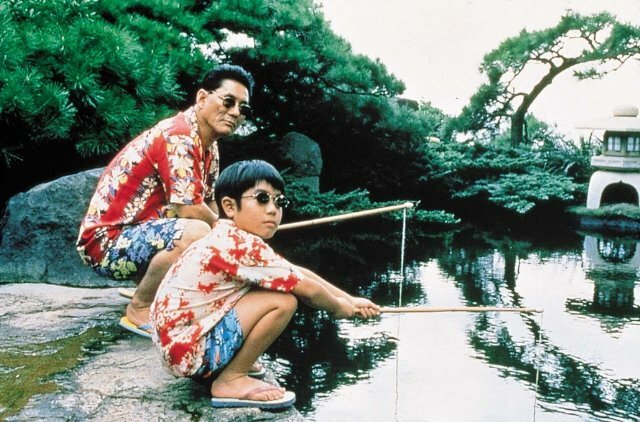 Kikujiro, played by Kitano, is a neighbor whose spouse forces to accompany Masao. In the beginning, Kikujiro isn’t serious about the trip and spends his time gambling, but after the kid encounters a molester, he promises to see him safely to his destination. Along their way they meet a number of peculiar individuals that end up shaping their travel and even their personalities. The main theme of the movie is alienation and the way that people who experience it respond, and that is why all the main characters, including the two main leads, are outcasts and misfits. The message that Kitano wants to gets through is that those kinds of people, although at constant odd with the “regular” world, can actually find happiness in life, if they find other people like them and stick with them. Kikujiro is set up like a child’s school report on what they did on their summer vacation. The pace is slow as it usually is, but this time, the expectation of violence is absent, and this is most likely Kitano’s most relaxed movie. His peculiar sense of humor is also present, mostly presented through body language, without many words, a practice where Kitano truly excels. Joe Hisaishi is once again the composer of the soundtrack, with Summer, the main theme, being one of his most commonly known melodies. “Fireworks” is Kitano’s most critically acclaimed work, netting him the Golden Lion in the prestigious Venice Film Festival and a plethora of other awards, both in Japan and all around the world. However, the Japanese Academy chose to ignore him again, despite 11 nominations, solely awarding Joe Hisaishi for Best Musical Score. Kitano plays one among his favorite roles as Nishi, a violent police detective, who quits the force due to guilt ensuing from a terrible accident his partner Horibe had, that left him crippled and forced to use a wheelchair for the rest of his life. Nishi tries to help Horibe who has suicidal tendencies, but at the same time has to care for his spouse who suffers from leukemia. The ubiquitous Yakuza could not be missing from one of Kitano’s masterpieces; Nishi, who had to borrow from them to pay for his wife’s treatment, has a tough time paying his debt. In an utterly autobiographical component, Horibe tries to fight his sense of despair by taking up painting, the same practice that Kitano used when he was in a similar psychological position. Furthermore, the paintings in the movie are actually his works. The scenes of the movie unfold in front of the spectator’s eyes almost like fireworks. Explosions of violence within long periods of joy, flares of paranoia into a sea of lyricism, unforeseen moments of shock perturbing the calm, and all of that tied together with the dream-like music of Hisaishi, leading to a true masterpiece. Kitano, who acts in his usual, almost catatonic restraint, offers one of the most accomplished performances of his career. His character’s main focus is his relationship with his wife. Though he loves her with all his heart, even committing a robbery for her, he never actually shows her, apart from the finale that truly dismantles Nishi emotionally, letting the audience finally perceive the drive behind his actions. The international success of both “Fireworks” and “Sonatine” established Kitano as the most prominent Japanese filmmaker of his era, thus resulting in the end of his awful psychological condition that had been ongoing for years, even before shooting the latter. 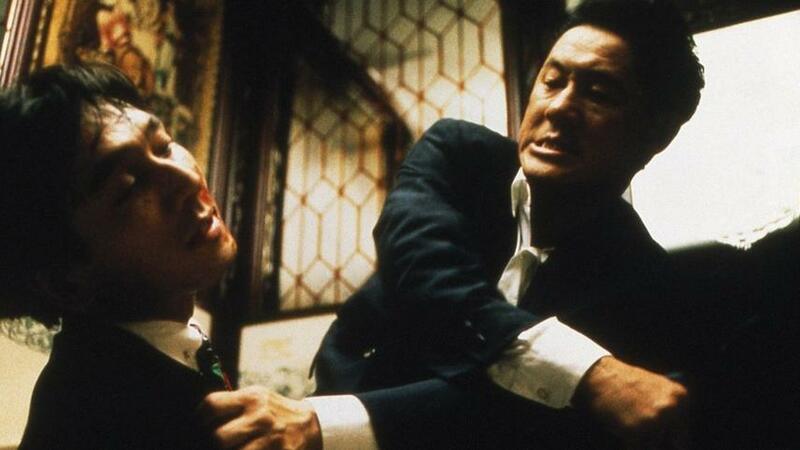 Kitano’s foremost masterpiece is also his most commercially successful film, taking $23.7 million in the Japanese box office and $31.1 million worldwide, mainly because of its wide release in the US that reached 55 theaters. Furthermore, Kitano won the Silver Lion for Best Director at the Venice Film Festival and yet again, plenty of awards from all over the world, and finally some from the Japanese Academy (Cinematography, Lighting, Editing, Music Score and Sound), although he was solely mentioned in the editing one, along Yoshinori Ohta. The story behind the production is, once again, one of extreme interest. Shortly after Shintaro Katsu’s death, who played the main character throughout the Zatoichi franchise, Kitano was approached by the very powerful madam and ex-dancer Saito. She was a close friend of Katsu’s, and owned the rights to everything pertaining to Zatoichi. An extremely wealthy woman, the owner of dozens of strip clubs, and sometimes a mothering loan-shark to Katsu, she demanded that Kitano do the remake and star in it. Though he initially weakly refused, as he was not a fan of the franchise, Kitano accepted in the end, due to pressure of Saito that also contributed 15 percent of the budget. The pre-production began two years after Katsu’s death, and Kitano threw himself into the Zatoichi remake project, directing and acting with a zeal that made the old madam truly proud. Basing the story and script on the works of Kan Shimozawa, the actual creator of Zatoichi, Kitano slowly ground out his masterpiece performance. The film is a tribute to the classical samurai genre and thus, the script is quite simple. Zatoichi, a blind samurai and masseur, comes to the defense of villagers caught between the rivalries of two Yakuza gangs, punishing evil by killing a score of criminals with his hidden blade. Kitano summons up all of his distinct irony and cynicism to create a brand new blond Zatoichi, fiddling with the established norms of the franchise and the genre in general, but without straying too much from their basic rules. The film encompasses many sarcastic elements, like the exaggerated bloodbaths and the concept of the geisha siblings, but Kitano makes a point of not straying too much from his unique style. Thus the economical dialogue, the frequent flashbacks, the reserved acting, and a few very artful and unforgettable scenes. 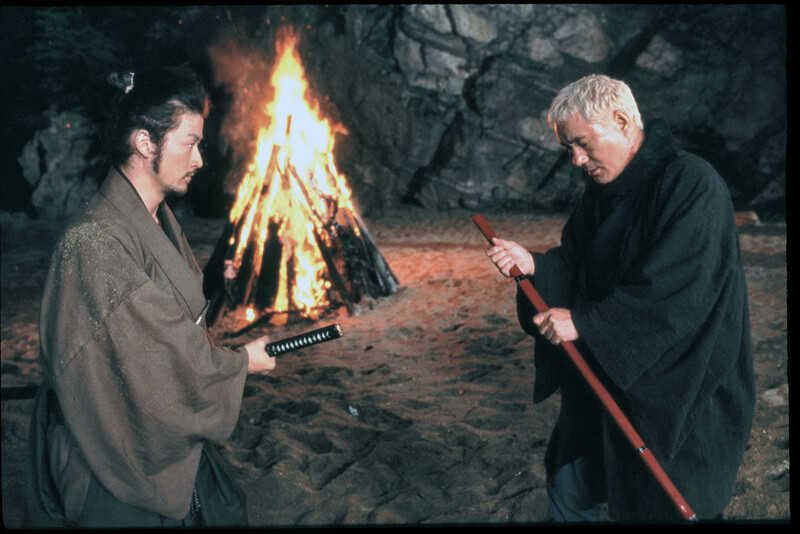 The best scenes include most of the fight scenes, the duel with the wonderful Tadanobu Asano who plays a rival bodyguard, the dancing of the geisha and the utterly unexpected final scene. The music is point of excellence, this time not from Joe Hisaishi, but from Keiichi Suzuki that prominently accompanies the elaborate editing, integrating with the picture and thus a producing a masterful audiovisual experience for the spectator.